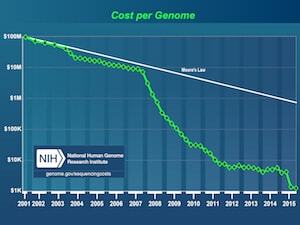 Unless you’ve been sleeping under a rock you are aware that the cost of sequencing has been going down. Less clear to many is that genotyping has also been declining. At last year’s ASHG some physicians were talking about SNP-chips in the range of the low tens of dollars. Right now most diseases for most people who buy health care are accounted for by the standard issue SNP-chips. If you have a rare mutation not on the chip, or are of a minority ethnic group not well ascertained by the chip, well, tough luck. My point is that chips probably have a near term future. I think the headline will mislead many people because when we hear “insurance” in relation to health, we assume health insurance. But long-term care insurance and life insurance are both relevant to health, and both of these have a major issue now with asymmetric information. Many people are declaring that health insurance is over once everyone gets sequenced. I don’t think that’s necessarily true. The minority of the population that has a highly penetrant Mendelian disease may be in trouble without legal protection. But most disease variance is not going to be due to Mendelian disorders. 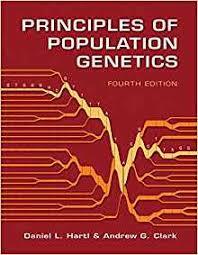 Rather, people have risks based on family history and polygenic scores and lifestyle. And, a substantial proportion of disease and illness remains and will remain random. With all that said, it’s not going to be a pretty picture when pockets of the insurance industry collapse. With greater knowledge comes the reckoning that we as a society have to make about the values who hold to be true. 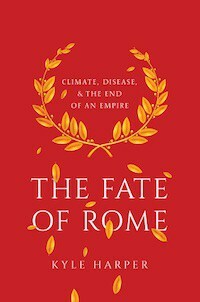 Post-genomic era = socialized medicine? Health insurance is no longer medically underwritten. Hasn’t been since Obamacare was enacted. Life insurance is medically underwritten, but the last time I bought some, which was a long time ago, the exam was perfunctory: height, weight, blood pressure, let me listen to your heart. I find it hard to believe that that life insurance companies would go to the expense and trouble of getting genetic tests. Very few people buy Medically underwritten life insurance. Most people get life insurance on group policies through their employers. Those policies are not underwritten at all.